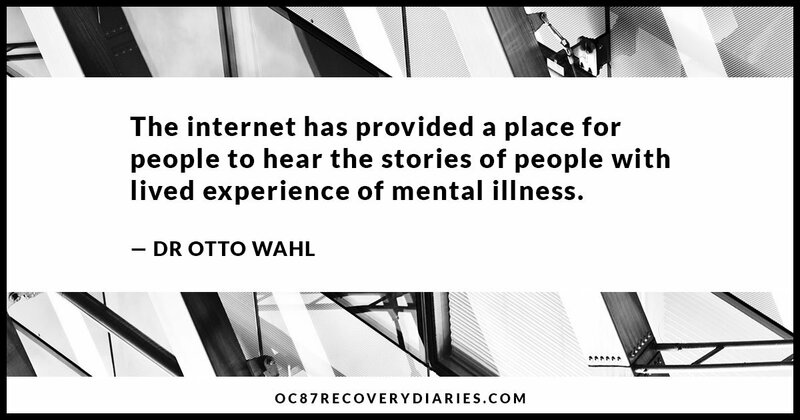 OC87 Recovery Diaries is pleased to share this interview with Dr. Otto Wahl, a pioneering researcher who studies the impact of media images about mental illness on stigma. 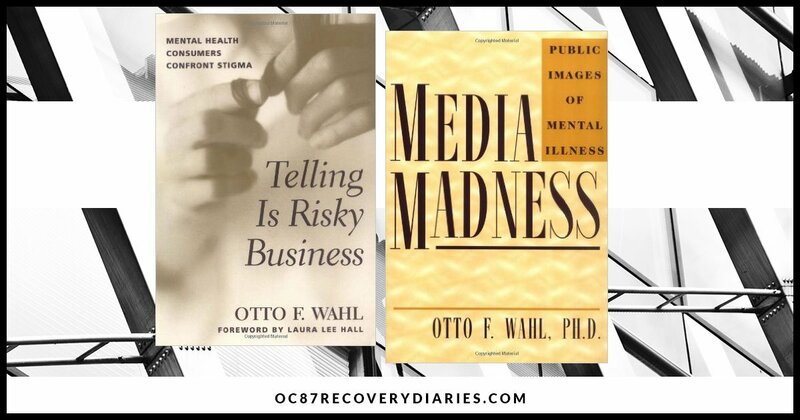 Throughout his career, Dr. Wahl has documented the damaging and inaccurate stereotypes of people who live with mental illness created by the media – in particular television, newspapers and dramatic films. Dr. Wahl’s research has expanded to consider the next generation of media consumers – high school and college age students. While the internet presents new and unchartered opportunities for youth to develop ideas about mental illness (both positive and negative), there are also education programs in schools that try to expand students’ knowledge, attitudes and behavior towards mental illness and people with mental illness. In addition, Dr. Wahl has some intriguing thoughts about a new direction for study to tackle stigma – within the mental health field itself. GLENN HOLSTEN: Education’s key, and I know that you’ve been involved studying perceptions of mental illness in our schools. Could you talk to me about your work in that arena? DR. OTTO WAHL: Sure. There are, as you might imagine, many organizations who are interested in education about mental illness. For a long time, that has been reflected in mental health education campaigns for the general public. Recently, however, people have begun to recognize that we ought to pay attention to our next generation. This would be a good place for us to provide the education, and maybe stave off some of those stereotypes. They have developed educational programs to go into the schools that are part of a school curriculum, or that can be part of a school curriculum. The National Alliance on Mental Illness had developed some programs related to that. I’ve been involved in helping them to evaluate some of those programs. The most recent program I’m involved in right now is a program called “Ending the Silence,” which involves presenters from NAMI — usually a NAMI member who talks about certain facts and information about mental illness — and a young adult, who tells his or her story. Some of the social science data say that interacting with a person with a lived experience of mental illness is one of the best ways to change stereotypes. DR. OTTO WAHL: Those presentations go into the schools and then we begin to ask questions saying, “Okay, what’s the impact of that?” We’ve been doing some evaluations “pre” and “post” (that’s the way we say it in our research). Before they received the presentation, we ask questions about attitudes, we ask questions about their comfort level of interacting with a person with a diagnosis, and then we ask those same questions after they’ve had the presentation. In addition, we’ll be asking the questions about four to six weeks beyond that to see if changes in attitude (if there are any) are lasting. The goal is to determine if the program seems to have an effect in reducing stereotyped ideas and increasing acceptance of people with mental illnesses. I also worked with another program to help them evaluate it, an on-going program in California called “Directing Change,” in which students are invited to create short videos that either address the stigma of mental illness or suicide prevention. GLENN HOLSTEN: Are these high school-aged students we’re talking about? DR. OTTO WAHL: These are high school-aged students. Some of them are at college, there’s a few college students, but it’s mostly high school, and they spend some time creating these videos and then they are judged by people around the country and then there’s an awards ceremony, a big red carpet ceremony, to recognize the good ones. They’re posted on the website. 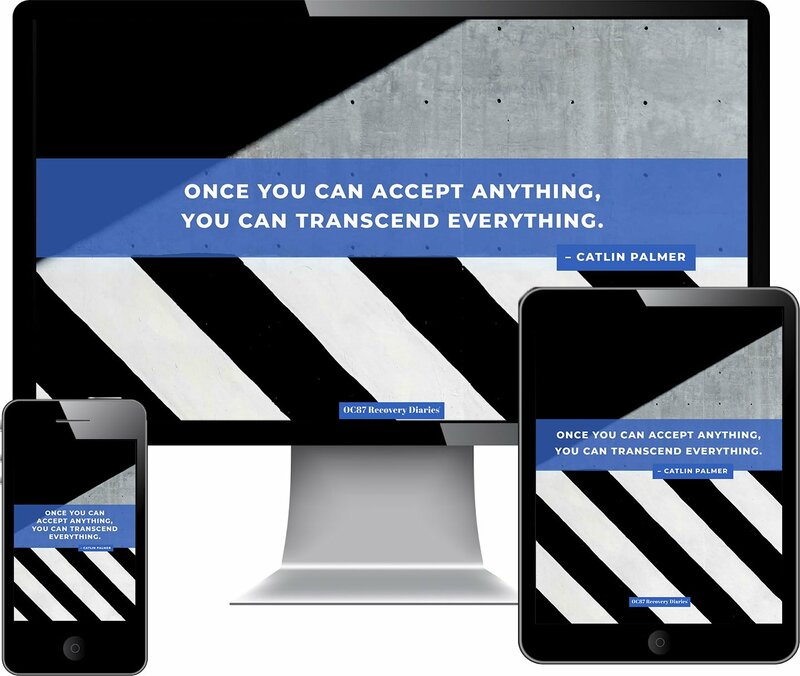 If you go to the Directing Change website, you can see some of these efforts. GLENN HOLSTEN: You know what I love about that is that when you have to work on something, you’re sort of living with it in such a different way, you’re living information and then it’s part of you from that moment on. DR. OTTO WAHL: That’s the idea. We have something like that in Hartford in fact call the Brain Dance Awards. It’s not videos, but it’s any kind of creative artistic work. Some people write poems, some people do paintings, some people do videos from the schools overseen by their teachers. Again, there’s an awards, there’s a judging, and there’s an awards ceremony to recognize those accomplishments. GLENN HOLSTEN: I’m very heartened to hear about these efforts. I’m wondering if you can take a step back and say what you think the impact of this is, especially with the NAMI program about meeting someone in person, I don’t know if you have data that you can point to or just your own observations about what people witnessed with that? DR. OTTO WAHL: We’re collecting that data now, so I don’t have an answer to that. We did do a similar thing with the program that preceded the NAMI program called “Breaking the Silence,” and we did find significant results. What we found was that students gained knowledge, but the evidence of attitude change was weaker, which is not surprising. My one concern about these school presentations is if it’s a one shot deal, it’s hard to make a lasting impact. They really need reinforcement and follow up. GLENN HOLSTEN: I think that makes perfect sense, just from what I remember from my high school days when you’d have a guest speaker, they’d be impactful in the short term and then sort of fade away as time progressed. DR. OTTO WAHL: One of the things it does which we didn’t measure, is that it gets the entire school involved. We’re not only talking about students, we’re talking about teachers. We’re talking about the entire school system putting a priority on attention to mental health as opposed to denying. That sort of gets the ball rolling. It isn’t just the presentations themselves that do it, I think it’s the putting them together, the talking about it afterwards, and any kind of other follow-ups of course that one could do. GLENN HOLSTEN: This is a generation that’s growing up with new ways of getting stories. Television doesn’t play such a strong role in their lives. It’s the internet isn’t it? I’m wondering if you have any thoughts about how the internet has affected the conversation about mental illness and mental health, and what do you think of its potential to help impact public awareness and correct stories about mental health? DR. OTTO WAHL: I wish I knew. I think that’s something we haven’t looked at nearly as much as we should. My own impression is two-fold. One, I think it provides the potential for a lot of incorrect information, because there are many sources that say things authoritatively, but you have no idea how accurate or inaccurate or rigorous or scientific the information is. It’s hard to know which sources to trust because there’s so many out there. On the positive side, I do think, because I’ve seen many of them, that the internet has provided a place for people to hear the stories of people with lived experience of mental illness. Many, many people post YouTube videos and other things talking about their personal experience. As I’ve said, that’s an important part of breaking stereotypes. GLENN HOLSTEN: Not only do they give people opportunities to hear stories, but it gives opportunities for the folks with those experiences to be the story tellers. 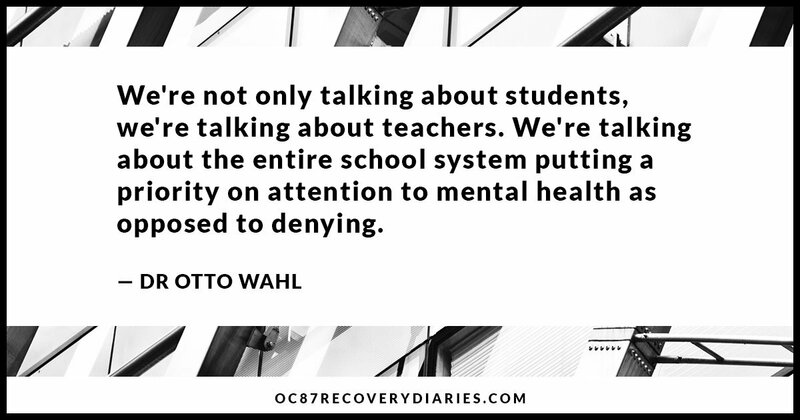 DR. OTTO WAHL: Absolutely. Good point. That’s a very important thing in helping people to deal with the stigma that’s out there, to maintain their own self-esteem in the midst of that kind of stigma. It’s empowering. GLENN HOLSTEN: You have recently retired sir, is that correct? DR. OTTO WAHL: I have, I am no longer a full time professor. GLENN HOLSTEN: How’s it going? DR. OTTO WAHL: Good. Although my wife keeps saying “I thought you were retired!” I tell her I have a phone call today that I’m going to do, I have a meeting with NAMI (National Alliance of Mental Illness) Connecticut I’m now on their board of directors. I’ve still got my hand in, I’m not fully retired. GLENN HOLSTEN: I’m happy to hear that, you’ve got all those years of experience and I’m sure NAMI can benefit from it. Do you have any suggestions for future people who are in your line of work? Where do you think they should focus and concentrate their studies? DR. OTTO WAHL: Yes. One of the things that I’ve been talking about recently that I think is a very neglected aspect is the mental health profession itself. 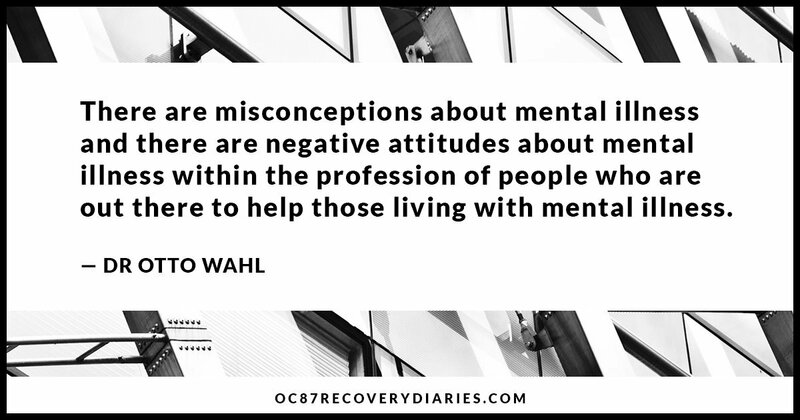 DR. OTTO WAHL: I think that there are misconceptions about mental illness and there are negative attitudes about mental illness within the profession of people who are out there to help those living with mental illness. Now, much of it is unintentional and I’m not suggesting there’s malevolence there, but stigma and bias do exist within the mental health field. I think we need to acknowledge that as mental health professionals and pay attention to that. We need to change the way we train our practitioners so that they are much more aware of the ways that they may be contributing to stigma and discrimination. I have heard too many stories of students of mine who go on internships or post docs who having been educated about stigma come back and say, “I can’t believe how stigmatizing the comments are within the mental health profession.” Certainly, people with mental illnesses often tell us the same thing, that they are looked down upon, they are patronized, they are infantilized. People tell them what they can’t do rather than help them to do what they want to do. Those sorts of things. 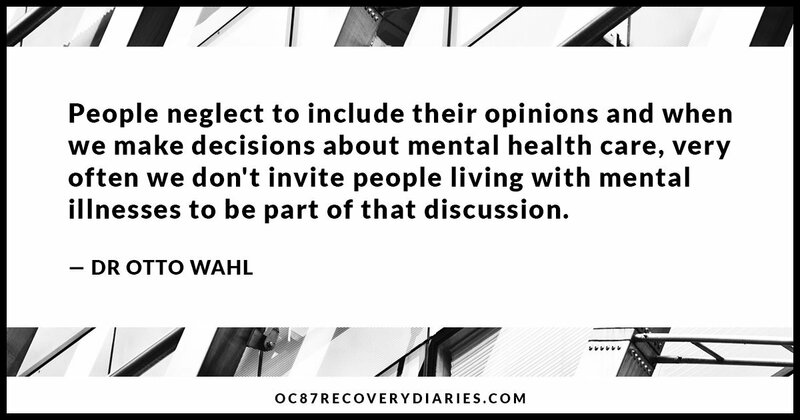 People neglect to include their opinions and when we make decisions about mental health care, very often we don’t invite people living with mental illnesses to be part of that discussion. GLENN HOLSTEN: It’s a significant area of study. DR. OTTO WAHL: I think it is. I think it’s time to take a look at that and not just say it’s a problem with public perception. GLENN HOLSTEN: Well, thank you. I wish you a really great day. I’m happy to talk with you, and I’m grateful to your contribution to the world. I think you were a path leader on a very important path. 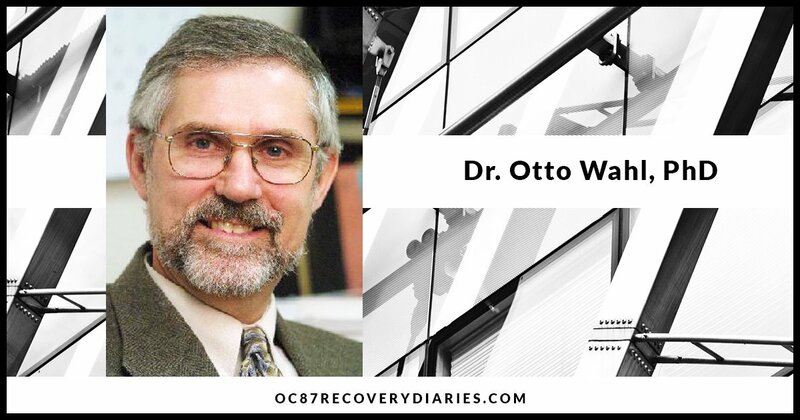 DR. OTTO WAHL: Thank you, I appreciate you saying that. I think you’re doing great work too.